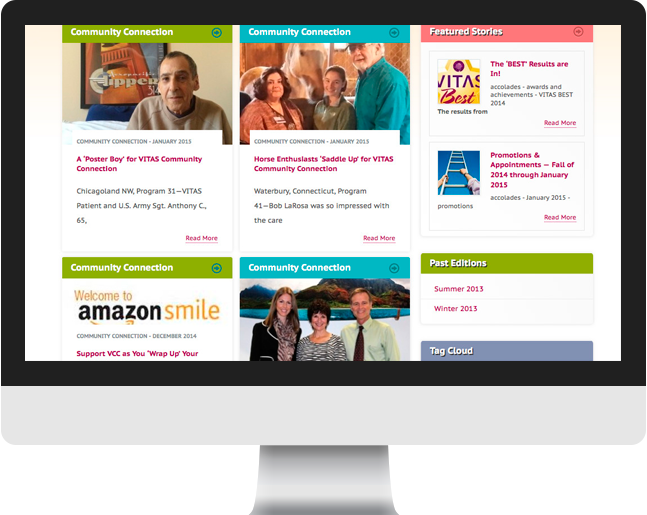 VITAS Innovative Hospice Care is the nation’s largest provider of end-of-life care. Their mission is to preserve the quality of life for those who have a limited time to live. 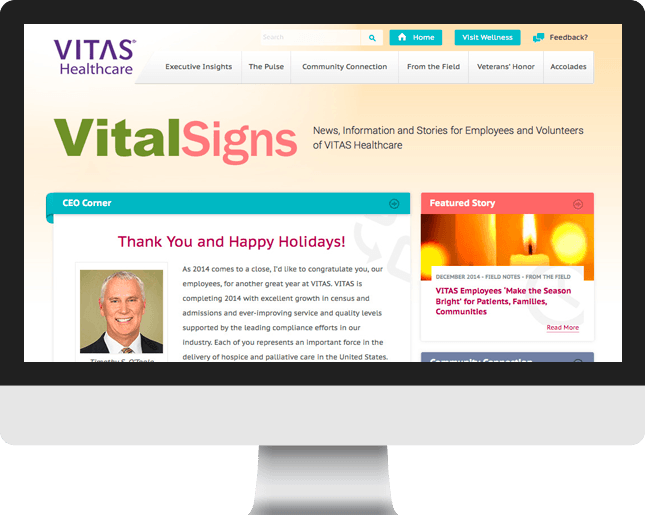 Cultura Interactive was contacted to create an online presence for the VitalSigns Newsletter and VITAS Care Wellness websites directed to employees and volunteers of VITAS. 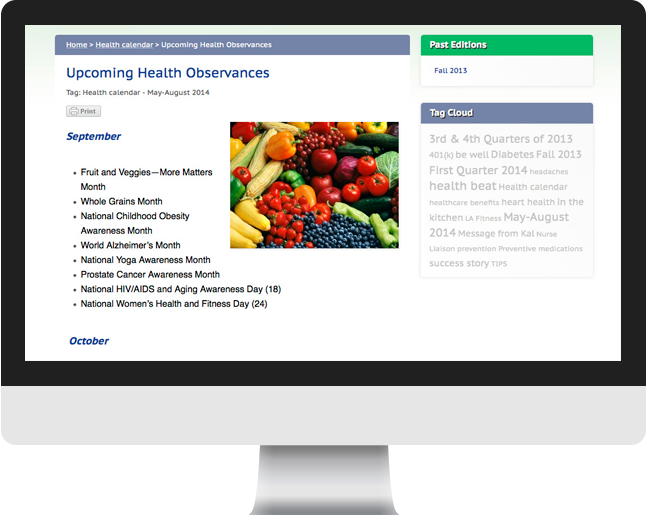 The new design allows them to share their stories, news, and information. 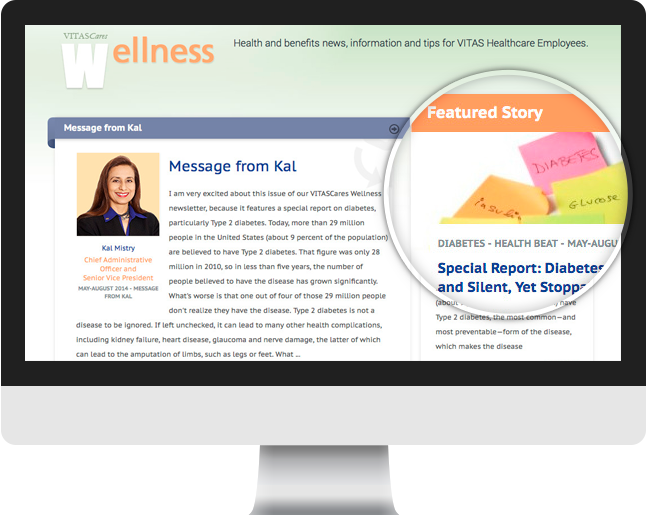 A custom WordPress theme was developed for the project where we were able to create an innovative, clean design following their current print material. Our company knows how important mobile capabilities are for a website, and users nowadays are visiting websites through mobile devices such as phones, netbooks and tablets. As a result, our team created this website using responsive design methodology techniques. 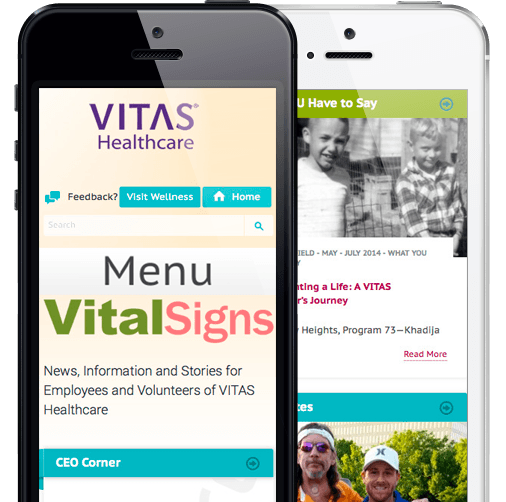 This allows visitors to view an adaptation of the VITAS website through any mobile device.